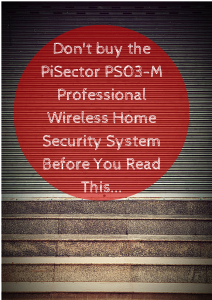 The Pisector Professional Wireless Home Security Alarm System Kit with Auto Dial PS03-M is a DIY system at an affordable price for most budgets. It is designed to be installed and set up in a few hours by the customer. alarm locally. 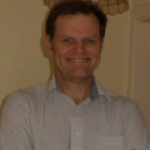 You can also call in to listen to what is happening at home and arm or disarm the system. The system communicates wirelessly so there are no wires to run through the walls and no drilling is required to attach the sensors to your walls meaning it is good for renters as well as owners. The sensors come pre-configured to work with the control unit so there is not much technical set up required. It does not need the internet to work and it is unlikely to interfere with your existing WiFi set up. For the most part the installation and setup is straightforward as the components come pre-configured to work together straight out of the box. You do not need the internet to set the system up. However, to read the user manual you need to download it from their site and there are a couple of YouTube videos you may need to watch when setting up the sirens as this requires switching them on and off the right number of times. It comes with hardware to help with installation with screws, spacers and tape for installing the sensors. There are only 2 additional items you may need to buy are (1) a phone cord if you do not have a spare one at home to plug it into your landline and (2) superglue or stronger tape as the double back tape included with the system does not hold the sensors in place and you may have a number of false alarms if they fall off the doors and windows. The installation and set up should only take a few hours and most people won’t have much trouble with this. The only part that is a bit complicated is setting up and installation of the alarms. The external siren needs to be screwed into place and be near a power outlet. The internal siren is straightforward and plugs direct into an outlet. It is the programming of the alarms that takes some effort (not too much and can be done in a few minutes) as it requires pressing buttons and unplugging the sirens and listening to the beeps to make sure it has been done correctly. There are 2 videos on YouTube that explain the process. You don’t get an instruction manual with the system but you can download the manual and FAQ document from the manufacturer’s site that run through the set up process. It isn’t the best written or most comprehensive manual but will do the job for most installations. You may want the internet access while setting up to read the manual and also to view the YouTube siren set up videos, otherwise the internet is not required. There is no contract to sign or ongoing monthly fees to pay to use this system. It is set up to be a self-monitored system. Therefore the only costs are the costs of the package and any ongoing costs of maintaining such as replacing batteries and maybe costs of VOIP or landline if you don’t have one and want to use the auto dial feature and the remote monitoring capabilities. It is possible to have the system monitored by a third party if you wish but this needs to set up separately with the monitoring company direct. The manufacturer advises that the monitoring company you use needs to support the ADMECO protocol and you can find this out by asking the company you choose. Most people find the support responsive and helpful when they contact them by phone or by email. They take the time to solve any issues customers have with their products. You can leave a voice mail and they return calls within 24 hours during the week. They appear to respond to most customer queries quickly. Although a few people report that they have had a few problems in reaching them but this is a small minority. They can be contacted by phone during the hours of 10 am to 5 pm Eastern Time Monday to Friday. This is a bit limiting if you work during these hours or have a problem at the weekend. There is a money back guarantee period of 30 days on their site (but see site for conditions). They also have a one year limited manufacturer’s warranty to replace or repair faulty parts. Most reports where there has been a defective part they promptly ship out a replacement or make other arrangements as appropriate. I contacted them on Sunday by email with some questions for the review and they responded within a few hours with full answers. Based on this they appear to have a very good customer support system. A follow up question was answered within 10 minutes. This system does not come with cameras and they can’t be added to the system. Some customers in their review note that they use it in conjunction with a surveillance system or internet cameras to check up on their home when they receive a call that a sensor has been triggered. Not applicable for this system. The system comes with 2 sirens (internal and external) that are powered by the house supply. The internal alarm plugs direct into the control panel. It is 85 db loud (equivalent to city traffic noise) which is loud enough to let an intruder know he has been detected but it is unlikely to carry to the neighbors. The external siren is plugged into the power supply with the 5 ft power cord supplied. So it needs to be fixed somewhere close to an AC socket and out of the direct rain (such as under the roof overhang). This may involve some DIY skills to get the cord from the siren to the supply. It is 140 db loud (the same as standing 100 ft away from a jet engine). Your neighbors should hear this but they may ignore it , therefore it pays to be on good terms with your neighbors so you can watch out for each other. When triggered the alarm will blast for 3 minutes before re-setting itself ready for the next incident. The length that it sounds for can be shortened if you wish or you can mute the alarm as you might want to do when you push the emergency or panic button so that an intruder is not alerted. 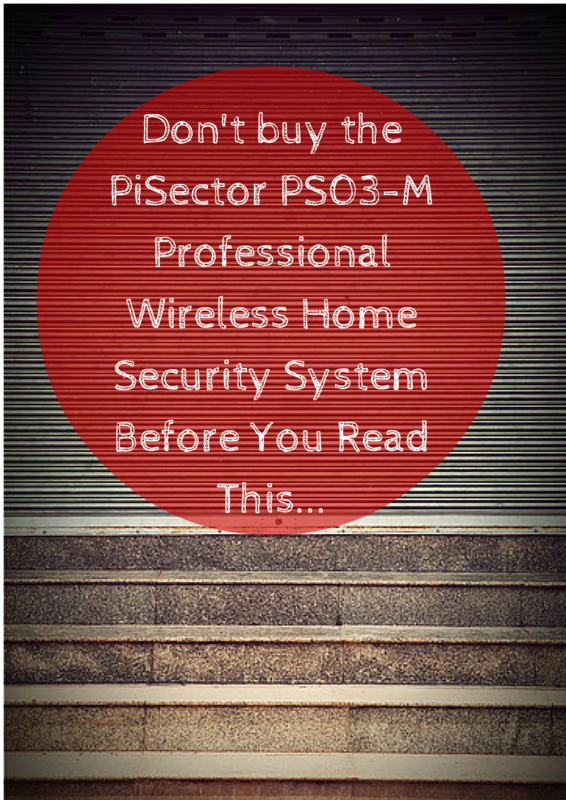 The PiSector PS03-M Professional Wireless Home Security Alarm System Kit with Auto Dial can be set up to notify up to 6 phones. It can communicate over a landline or VOIP to play back a recorded message. The recorded message can be up to 10 seconds long. It can only give a voice message but can contact a cell phone. This is a message you record at the set up. It also lets you know the sensor that detected the intruder if you have recorded the name during set up. The recording can be faint and difficult to hear over the phone but you do need to be within 10 inches of the control unit to get the best sound quality when you record your message. It can contact you on a cell phone but it will just be the playback of the recording as it can’t send a text or email to the phone. It works in a cycle from one phone number to the next until someone picks up and stops the cycle or for a maximum of 3 cycles. By ringing your landline or VOIP number you can set the alarm, disarm it or listen into your home to hear what is going on. You just need to put in your password and then press the keys on your phone as instructed to access this functionality. Some VOIP connections do need some settings changed and the company will do this for you if your VOIP connection is not compatible with the normal set up. The company does say that it will work with Ooma or OBi-110 and in most cases it works with Magic Jack. You can use you cell phone to dial into the system and control the arming/disarming and listening in by pushing the buttons but you won’t be able to use an app or the internet to control the system as it isn’t designed to do this. It does keep you safe from anyone trying to hack the system using the internet as it is separate to it. An issue arises if you want to use an answer phone on the same line as the security system. One of the devices will pick up incoming calls before the other one. So anyone dialing in may be asked to enter their password if the security system picks up first or you will be greeted by the answer phone if this is set to pick up first when you want to monitor or control the system remotely. The best way to get round this is to have them on separate lines. There is a suggestion in FAQs on the company’s where you can bypass the answer phone. It involves dialing home twice in quick suggestion to occupy the answer phone with the first call so the second call gets picked up by the security system. It sounds like it may work but I have not heard of anyone doing this. The motion sensors and door/contacts use batteries for power. They are included with the system. The batteries are expected to have an initial life of 6 months before they are needed to be replaced. When replaced they should have a life of 1 2 years depending on usage. The motion sensors use a 3V CR123A battery. They are readily available and on Amazon you can get 8 Duracell batteries for under $17 at time of writing. The door sensors use a 3V CR2450 coin style battery. These again are fairly easy to find and 6 Energizer batteries can be bought on Amazon for under $10. The system lets you know when the sensor batteries are low in charge and require replacing. The LED light on both types of sensors comes on to inform you that their battery needs replacing. In addition an LED icon on the control panel comes on to let you know that a battery in one of the sensors batteries is low and you can scroll through the menu to find the sensor with the battery that needs replacing. The external siren is powered by the house supply and does not have a backup battery, so will not work in a power outage. The internal siren plugs into the control panel so will have power in the event of an outage. The control panel and wireless repeater are both powered by the AC supply and each have a backup battery so they will continue to work in a power cut. The backup battery is a lithium ion battery (a replacement is available on Pisector site and should supply power for up to 6 hours in the event of a power outage. The motion sensors included in this system are passive infra red sensors. They are best placed in a corner and 7 ft high to give full coverage of the room and avoid blind spots. They will detect movement up to 40 feet away and have a horizontal angle coverage of 110 degrees. If you live in a hot part of the country you may find the motion sensors are not effective when the temperature of the room is above 98 degrees Fahrenheit. These contacts come in two parts – a magnet and sensor that will work on most doors and windows however they are open including sliding doors and windows. One part is installed on the door or window and the other on the frame and when closed there needs to be a gap of less than 3/4 of inch between them. When the door or window is opened the sensor triggers the alarm as it opens more than 3/4 inch. To help with installation the spacers are provided to help level them up when frames are curved or it is difficult to line the pieces up due to the shape of the frame or the window or door. Another good feature if you are using in a business or have small children is that they can be set to chime when the door or windows are opened. This can let you know when someone comes in or if you have children it lets you know when they open a window or door. As well as having a panic button on the remotes and control panel for when you discover an intruder or other emergency there is a panic button that comes with the system. If you or someone with panic hears something or there is another emergency they can sound the alarm by pushing the button. The system does not come with duress code functionality. A duress code is a code you type into the system when you are being forced by an intruder to turn off the alarm system. It turns off the siren but lets the person monitoring the system know that you have been forced to do so and they can dispatch the police. There are 2 modes for arming the system it can be armed in home or away mode. The home mode arms the door and window contacts but leaves the motion sensors disarmed so you and your family can move freely round the house without triggering an alarm. The away mode arms all the sensors. You can change individual sensors to be armed or not when you set the alarm in home mode and tailor it as you wish as you might want a motion sensor armed in the garage when you are home or may be a window you might not want activated if you want to sleep with it open etc. The alarm can be set in different ways including remotely. You can use your phone to arm and disarm the system remotely by phoning the system and using the pass code and pressing the numbers on the keypad for arming and disarming. The control panel can be used to arm/disarm the system by entering the pass code and pushing the arm or disarm buttons. To use the remote controls you press the buttons for arming and disarming the system and it works up to 50 feet away from the control panel. This means you can arm or disarm the system outside your front door. The siren can be set to chirp so you know if the action has been successful. It is also possible to schedule the alarm to arm and disarm so you don’t have to remember to do this each day. This could also be useful to as you can have it disarm when your children are due home from school or maybe for a business so the setting doesn’t get overlooked at the end of the day. It will do this every day and can’t be set for different times for the weekend without going in making changes to the set up. The control panel lets you know when a door or window is open when you come to set the system to help you ensure it is properly armed when you leave your house. It will let you know which one is opened on the control panel LED screen so you can find it quickly and close it. There can sometimes be an annoying issue with this functionality when a door or window is opened and closed quickly the control panel registers the opening but misses the closing, so you may need to open and close the door/window again to resolve this. The control panel monitors and controls the system. It is where you can program and change the settings and it auto-dials out and sounds the alarm when one of the sensor is triggered. It is designed to be placed on a table or shelf and needs to be close to a power outlet (it does have backup battery in case of power outage). The back of the unit is where you plug in the landline to the unit and also where the 5 ft power cable is plugged in. You can also add existing wired sensors to the back here but you may need assistance in doing this if you are unfamiliar with doing this. The front of the panel is where you make changes to set up of the system and record your message for the notification message and naming of sensors. The LED screen and keys can be hard to see when the backlight turns off to save power (but it will come back on when you press a key). The icons and words seem easy to read. This is where you can see which sensor that has been triggered, whether the chime feature is active, whether a door/window is open and whether a battery is low in one of the sensors. At the side of LED screen are two buttons for scrolling through the menu options when you have pushed the program button that is used for accessing the set up menus for the system. There is a number pad for entering commands and the pass code on the left. To the right is theprogram button. Below that is where you can arm in home or away mode or disarm. Below this is an emergency button you can press to trigger the alarm immediately to sound the alarm and start the auto-dialing sequence. When you arm the alarm using the control panel the system is set to give you 45 seconds to leave the building before being armed but you can change this to instant or anywhere up to 60 seconds. You also have the same option when you return home you can have a delay set in the system of 0 to 60 seconds to give you time to disarm the system. You can set components so that they trigger the alarm immediately such as windows and doors you won’t be using for access. The default setting for arming the system when using a remote control is for it to be instant, but you can change that to the delay set in the system if you want to 0 to 60 seconds. The control unit and wireless repeater both have back up batteries so the system will continue to work in the event of a power failure for up to 6 hours. It contacts you let you know there is an outage. You will get notifications of any security incident but only the internal sirens will work. If the landline is cut system will instantly sound the alarm. It won’t call your phone but it will sound locally and most burglars and intruders at this point will move on. This feature can be turned off by the customer using the control panel. If the intruder destroys the unit during the entry delay the system will not sound the alarm. However, the system can be stored in a cupboard (but it does require to be plugged into a power outlet to operate) to make it harder to find and destroy. The system comes with a wireless repeater (extends the range of the wireless coverage) and with this on the door window sensors work up to 200 ft away from the control unit and the motion sensors work up to 300 feet away. But the range will be dependent on what the building is made from. The range of the remotes is up to 50 feet depending on how charged the battery is in the remote. The communication between the sensors, sirens, remotes and the control unit is wireless except for the internal siren which plugs into the control panel. However, as the system uses a landline to contact you in the event of a security incident a phone cord is required to connect it to it. The frequency it operates on is 433 mhz. Also, the sensors and remotes are battery powered but the external siren and control unit have a power cord to plug into the house AC supply. Being wireless makes this good for apartments and renters as it is portable and can be taken with you as there is no need to run wires through the walls so little damage will be done to the building. Each sensor can have its location named in 28 characters of text and by voice (5 seconds) so you know where each one is. In addition to location zone each of the sensors can be assigned to functional zones where they can respond differently when there is an incident or on how the system has been armed – home or away or disarmed. Emergency Zone – by assigning a sensor to this zone it is active even when system is disarmed. It is used for panic buttons, smoke sensors , water sensors etc. Home Zone – you can set this to yes or no. When it is set to no the sensor is not active when system is set in home mode. The no setting is normally used for motion sensors and yes is used for window and door contacts. Delayed Zone – the default setting is no for the sensors, so the alarm is sounded instantly the sensor is triggered. If you want a delay when you open the door you need to set this to yes. The system is set to a 45 second delay but this can be changed to anywhere between 0 and 60 seconds. Siren Enable Zone – the default is yes. When set to no the alarm does not sound when the sensor is tripped. Door Window/Contracts – sensor is 1.5 inch by 1.5 inch and the magnet is 3/8 inch by 1 1/4 inch. Also included is double sided tape for attaching sensors to the walls and doors etc. You may need a phone cord for the system if you don’t have one spare at home to install this with your landline phone. Smoke detector – it has an independent 95 db alarm and also will send signal out so you are notified by phone. This must be plugged in to house supply for power. Glass sensor – this detects when glass has been broken by an intruder rather than forcing the door or window. CO detector – detects the poisonous gas carbon monoxide and will sound a 95 db alarm immediately. It is powered by the house supply. Can’t use it as part of a smart home package as it is not compatible with zwave or zigbee. You can’t monitor with a smartphone although you can phone from one and the system can be programmed to contact you on your cell phone or other phones. Nor can you control or monitor from a computer. The double sided tape included is not strong enough to keep sensors in place so they need to be either screwed or glued in place or better tape bought. The first thing to note is that it appears some of the ratings may be inflated as the company offers a free sensor for a five star review which makes it difficult to truly assess the overall customer response and it may make you question their marketing tactics. Having said that with over 100 reviews there are just 8 2 star and under reviews on Amazon. The customers leaving these talk about issues with the product not working properly and the double sided tape not being up to the job. It is difficult to know for sure if the customers have contacted Pisector as they don’t mention it in their reviews but those that do are happy with the service and the company works hard to replace any faulty components so the system is up and running. The double sided tape is not good and you will need to replace this if you want the sensors to stick in place. The majority are happy with the system and the number of components they get for the price and that it is easy to install and overlook the issues with the double tape and the lack of good instructions included. This is a well priced system that gives you a lot of sensors for the price and with very little ongoing costs and you can save on the cost of installation because it is relatively straightforward to install with little DIY or technical skills required. The components included make this a good deal for anyone with a small home, apartment or a vacation home or small business. For a larger home or business you may want additional sensors to cover up stair windows and rooms and makes for a good starter kit. This is a good basic alarm system that you can install yourself. There is no ongoing charges as you self-monitor the system. The installation instructions are not the best with some of the English a little hard to interpret but they can be followed. The double back tape provided is not up to the job so you will need to buy stronger tape or use super glue or screw them into the wall. It works with a landline (it won’t work over cellular network or internet) or VOIP to get notifications out to up to 6 phone numbers set up in the system. It does not have some of the features you get with more expensive systems but it provides a good level of security for those on a budget who are prepared to self-monitor or for those who don’t want the cost of a professionally monitored system. I was wondering if it’d be possible to get a wireless external siren for the PS03 Pisector Home Security Alarm System? I don’t have an outside power source. Unfortunately, PiSector don’t have a battery operated siren at this time. The closest they come to it is their WSR-06 Wireless Flashing Strobe with a back up battery but main power source is the house supply. Thank you for a thorough review and a heads-up on resources for battery replacement. Thanks for this great information. I appreciate it. I’ll make a note of it all in my review – the package contents, the cut line feature and using the phone, the answering system work around, the outgoing message problems and workaround. How have you found the system otherwise? Were you able to get the alarm system to pickup while have an answering machine on also? I tried the call once, let the answering machine pick up, then call back.. I have call waiting, but still get a busy signal. I have the system and love it but I have a question and don’ t know if you have the answer but the indoor siren has been beeping 3 loud beeps every hour for days while the system is disarmed. The main control panel doesn’t show any issues and the only way to get it to stop is to unplug it. Any ideas? I’ve checked the manual and I can’t find it mentioned. (I’m assuming it’s not the chime function?) if you contact PiSector at http://www.pisector.com/ I’ve found they are quick to respond. It’s great to hear you love the system. Sorry I couldn’t help you. Is there a way to set an audible “chirp” or some notification that you can hear outside the home when you arm the system? Yes there is. Do you want me to send the instructions to your email address? I would appreciate the instructions on how to get the Pisector GS08 system to chirp outside to let me know when the system is armed or disarmed. Thanks. I have programmed phone numbers in the PS03 system, but do not get called when the alarm goes off.. Any idea why I am not getting called? I’m not sure why that isn’t working. It’s probably best to contact PiSector direct.